มาละ!!! ไปดูความโคตรป่วน โคตรดีดของ Pok Mindset และ P-Hot ในMV #ดีด กันได้เลยที่ช่อง mindset mob นะครัชชชช ดูเสร็จแล้วอย่าถามนะว่า #ไปโดนตัวไหนมา 🙌 #เห็นเธอแล้วดีด #mindsetmob #pokmindset #phot #deejayb lets go!!!! Want to be a #producer but don’t know where to start ? I can help. !!! อยากเป็นโปรดิวเซอร์ แต่ไม่รู้ว่าจะเริ่มต้นยังไงดี !!!! มาทางนี้ เราช่วยคุณได้ !!! Designed for music performers and aspiring producers. Learn how to create, record, mix and master your music! Here are some more details of what you'll learn in this best selling course: 1. Learn how to set-up and navigate around Logic Pro X 2. Import and search Apple Loops to create your own music 3. How to record your own audio, build your own track from nothing and edit MIDI 4. Understand mixing and mastering Sign up today #thaitanium #bangbangbang #southsidepk #musicproducer #music #hiphop #producer #rap #beats #dj #rapper #artist #newmusic #studioclass #trap #love #hiphopmusic #musician #twopee #singer #rappers #studio #rnb #rapmusic #song #beatmaker #musicproduction #songwriter #youtube #follow 🎥 credit @corpushiphop contact @keezybbb for more info. Sometime when you get in a fight with your girl, its ok to say sorry but most of the time we just walk away from it. 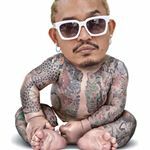 Its too much to say sorry, thats why and what happen in this song #sorry from #botcash ft. #sdthaitay #thaitanium #hiphop #rnb #midnightsun #music #GODBLESS im sorry but not really sorry, its up to you to walk away or stay. !??? ได้แต่ร่ำร้องขออภัย เมื่อมันสายเกินไป ... ซิงเกิ้ลแรกของ @BOTCASHofficial - I'm Sorry ft. @SDThaitay รับชม MV ได้แล้วบน Youtube " สิ่งที่เจ็บปวดยิ่งกว่าการจากลา คือการต้องเห็นคนที่เรารักต้องมีน้ำตา "
You can look left and right and see what they are but never look down on people for what they are. !!!! You might find something spacial about them if you really look in to them. #thaitanium #sdthaitay #smtmthailand #jooxthailand #GODBLESS #movies goodnight. Hot Promotion 12.12 !!!! ซื้อ 1 กล่อง แถมฟรี 1 กล่อง 690 บาท เพียงสั่งซื้อสินค้าผ่านทางหน้าเพจ Facebook ตั้งแต่วันที่ 12-16 ธันวาคม 2561 นี้ เท่านั้น!!! Quality Time with one and only !!!!! N u know it. ฝากเพลงใหม่ของ ลีเดีย - สวัสดีครับ ติดตามดู music video ได้แล้วในช่อง YouTube! Wanna Tell You something just u N i know. Is that ok with U. !!!! This is #turnt this is want you need after you drink. #turntbythaitanium #thaitanium #sdthaitay #GODBLESS idontbsay you have to drink but use it when you drink !!!!! Want to be a #producer but don’t know where to start ? I can help. !!! อยากเป็นโปรดิวเซอร์ แต่ไม่รู้ว่าจะเริ่มต้นยังไงดี !!!! มาทางนี้ เราช่วยคุณได้ !!! COMINGSOON #musicproducer #class #keezyclass6 #keezybeatz #musicproduction #keyboardplayer #logicx #nativeinstruments #korg #abletonlive #trap #hiphop #edm #dancemusic #talkbox #beatzmaster #studio #instrumental #beatmaker #melodyne #autotune #hits #billboard #charts #thailand #KeezEmpireAcademy contact @keezybbb for more info. And yes we are Thaitanium Family still strong and unbreakable @djaybuddah @big_calo @daboyway @khanthaitay @jrocone @koolstuffbysd @thaitanium #thaitanium #GODBLESS be ready for our big concert Oct 12 2018 for sure. I hope you understand me, im just trying to get my life better. Do what ever that i can, instead of walk away, but try harder in life. Work hard, with discipline make every present ward wild. For what GOD’s give and do your best for the Give that you have. #GODBLESS #sdthaitay #thaitanium #midnightsun #CollagenZengo #HnS_photography for the future. Thank you for everything, thank you for the hater, thank you for all the love, and thank you for my true fans dat always support me no matter what?! And understand what i wanna do and trying do. Thank you. Peace and Love. #smtmthailand #sdthaitay #thaitanium #midnightsun #SunnyCash #GODBLESS credit pix to @rapterqwerxy thank you brother. @lingofking_myf dont you be sorry my brother coz you are on the throne and you got the crown. We are all respect you as you are. Thank you to all the production team that make it happen for us. For a good show, for the love of hiphop. In the end of the day this is all about representing hiphop to the fullest i dont care who win or who lost. We are all here to celebrating hiphop together/ #smtmthailand #sunnycash #sdthaitay #thaitanium #GODBLESS thank you GOD for everything. We will move on to the next level. Peace and Love. ♠️ This is Gangster ♠️ ✖️Sunnycash ✖️ LastFightForFinish ✖️D 60 ✖️fratres02thailand ✖️bigfamily✖️gang star ✖️balcony pain #Showmethemoney #Sunnycash #Sdthaitay #LastFightForFinish #D60 #fratres02thailand #gangstar #balconypain #bigfamily #sunnycash #sunnyday #ไม่การันตี #smtmthailand #thaitanium #sdthaitay #GODBLESS this is love. Do you remember the way i look ten years ago? I think its still the same as it is now , what do think?! #levis #sunnycash #sunnyday #smtmthailand #sdthaitay #thaitanium #GODBLESS i love you , my fans. In GOD we trust, this is what always do in life. #เทสท์โคลทติ้งสไตส์ what s nice Team Shirt Love it #sunnycash #smtmthailand #sdthaitay #thaitanium #GODBLESS @taste_clothing thank you for da T !! It was last night !!! How was ur night?